리우데자네이로, 브라질의 오로라 리우 호스텔 | 호스텔월드에서 예약하세요. 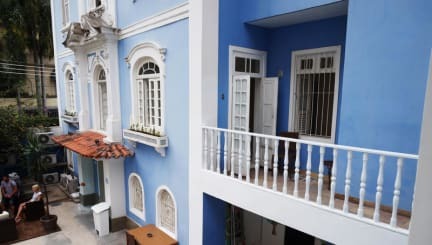 Aurora Rio is considered as one of the best-located hostels in the city, besides being a historical house adapted to your best comfort, you will hardly find another Hostel, where you can explore so many tourist attractions that easy. - Various beaches like Copacabana, Leme, Botafogo, Flamengo or Praia Vermelha are available in walking distance. Do you want to have fun? We have discounts at the best parties in Rio, every day. The nightlife of our neighborhood is considered more diversified and alternative of the city, you are staying only some steps away from nice bars, nightclubs, cinemas, theaters, bookstores and everything that makes your day complete. 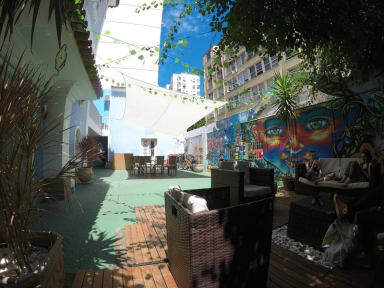 We are near the metro station of Botafogo and 10 meters from the intersection of the 2 main streets of the neighborhood.